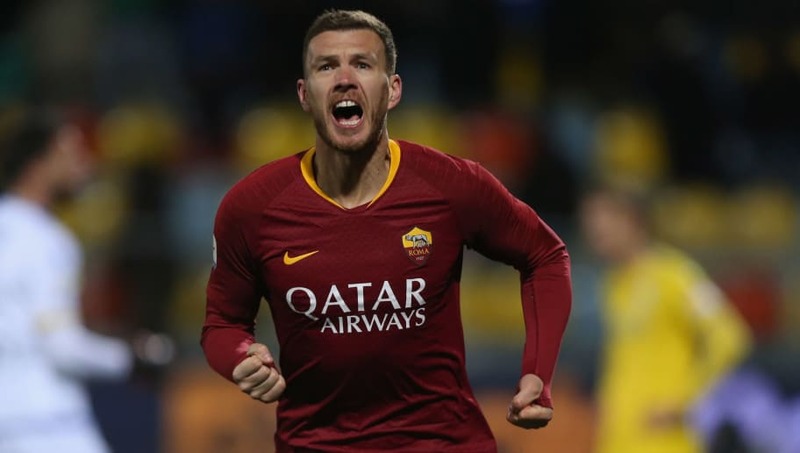 ​AS Roma striker Edin Dzeko has attracted the interest of Premier League duo Everton and West Ham United, as talks of renewing his contract at the Stadio Olimpico appear to have stalled. Dzeko, 33, has 12 goals in 30 appearances this season However, Roma may look to cash in on the experienced striker this summer, rather than let him leave for nothing when his contract expires in a year's time. As a result, Gazetta dello Sport (​via Calciomercato) report that ​Premier League sides ​Everton and ​West Ham are front-runners for the Bosnian's signature, which would see Dzeko return to the league he left to join Roma in 2015. The article also reports that Serie A side ​Inter are also interested in signing the experienced forward, who could be viewed as a replacement for Mauro Icardi with the Argentine's immediate future very much in the air. However, the suggestions is that the aforementioned English duo lead the chase. The former VfL Wolfsburg man spent over four seasons playing in the Premier League for Manchester City between 2011 and 2015. He netted 72 goals in 189 games for the Citizens, helping them win two Premier League titles, an FA Cup and League Cup during his time there, which was spent partly under current Hammers boss Manuel Pellegrini. Since his move to Italy, initially on a season-long loan deal for the 2015/16 season, he's scored 85 goals in 169 games, helping the club reach the semi-finals of last season's Champions League.